Madelyn is a 16 year old from North St. Paul, MN. She is an active arts enthusiast with some of her favorite pass times involving visual art, media, writing, and theater arts. 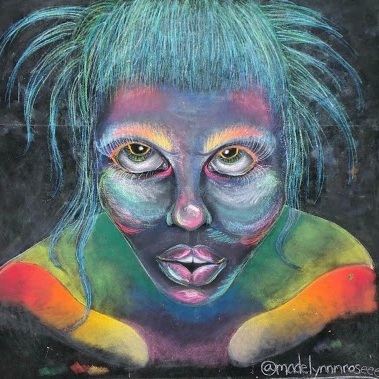 She has attended two chalk festivals, Chalkfest at Arbor Lakes 2018 included, and works with a variety of mediums such as colored pencils, charcoal, soft pastel/chalk, acrylic paints, watercolor paints, and various types of ink. 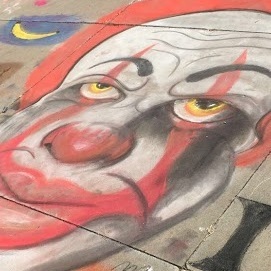 She has been doing chalk art for about two and a half years and it has become a big part of her life. She credits Chalkfest At Arbor Lakes’ Artist in Residence: Shawn McCann as one of her greatest mentors and for helping her get where she is today.